In Matthew 8, a leper came to Jesus. The Leper knew something that I was once taught wrongly. The leper that came worshipping Jesus first, and asked, “if you are willing”, to which Jesus replied “I am willing”. God, in this case in the form of Jesus, has to be willing to heal. I was once taught that God is always willing to heal, and that God does not give diseases to His children. 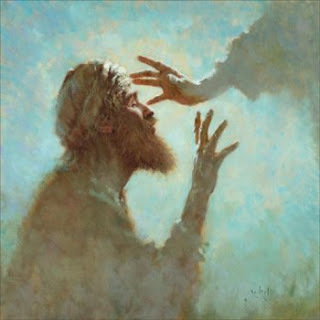 But the simple fact is yes, He does give diseases, and though He is willing to heal, the method He chooses to heal, and the timing, and the amount of suffering we endure, are all His choice. In other cases, such as that of the blind man in John 9:1-3, it’s not because of sin, “but that the works of God should be revealed in him.” In Exodus 10:14 God even says to Moses, “Who has made man’s mouth? Or who makes the mute, the deaf, the seeing, or the blind? Have not I, the Lord?” God desired to use Moses in his imperfect state to speak to His people and to Pharaoh. He had made Moses with his speech lacking for His purpose. God is always willing to give healing, just as he is willing to forgive our sins. But healing from God comes in three different ways: through medical science, through miracle healing, and through death. It is appointed unto man once to die. When this appointed time comes, God chooses death every time. We can postpone it through prayers, and healing through faith, but the bottom line is He is God, and we are not.